PG&E Ordered To Comply With New Wildfire Prevention Plan The utility company is already on probation for its felony conviction related to a 2010 natural gas pipeline explosion. 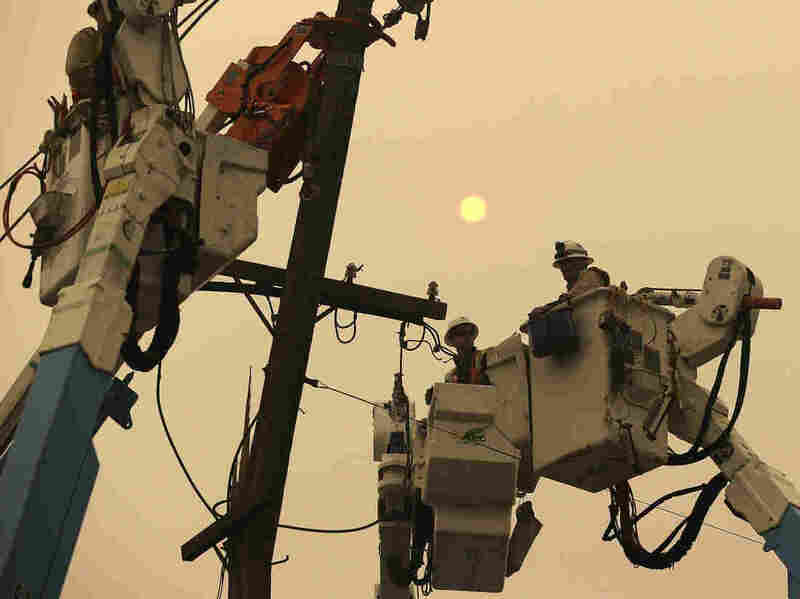 "A lot of money went out in dividends that should have went into tree trimming," Alsup said to PG&E acting chief executive John Simon as quoted by the Associated Press. "PG&E pumped out $4.5 billion in dividends and let the tree budge whither. So a lot of trees should've been take down that were not." The judge's order does not include the stringent condition requiring PG&E to inspect its entire power grid as he originally proposed. Company spokesman James Noonan said in an email that "we share the court's commitment to safety and understand that we must play a leading role in reducing the risk of wildfire throughout Northern and Central California." The court's dividend plan was not a surprise. Last month in a court document, Alsup had signaled his intention to order the company not to issue dividends until it complied with "all applicable vegetation management requirements." PG&E initially had resisted the plan, arguing that it had already suspended dividends in 2017. The dividend payments may not resume without Alsup's permission. In February, PG&E said that it's "probable" that it was responsible for the 2018 Camp Fire that killed at least 85 people and destroyed about 14,000 structures. The company, facing billions of dollars in possible liabilities filed for bankruptcy in January. Alsup is also presiding over that filing in separate proceedings.